WOW, the views! 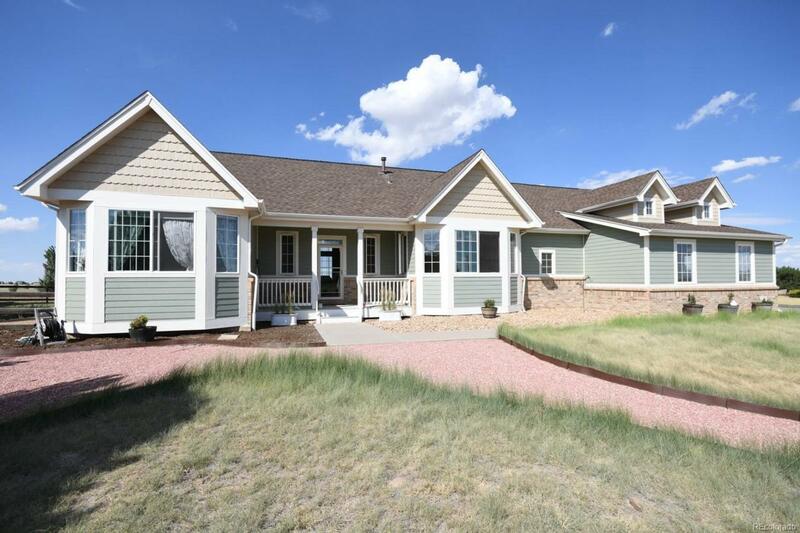 This immaculate ranch home backs to Arapahoe County Open Space, where you have an unobstructed view of the plains. Enjoy your morning coffee on the patio while watching the wildlife. Cozy up to the gas fireplace with blower to keep you warm in the winter, and retire to your master suite with more amazing views. Two other bedrooms on the other side of the home for privacy, but close for convenience. Whole house antenna for free TV, and wired for security system. For the Craftsman, the basement is equipped with lighting and built in benches to help you with all of your crafts. The front yard features maintenance free native blue grama grass, and yes, the yard statues are included! There is also a small section in the back with artificial turf for year long green yard. Gas hookup for your grill. There is a brand new playground in the community to entertain the kids. This home is priced to sell, and a MUST to be on your showing schedule. Offered by Swan Realtor Group Brokerage.